Tickets go on Sale Friday August 10! Based on real people and events Sanctuary chronicles the Tucson birth of the 1980’s Sanctuary Movement. In 1981, when Carol and Mica find out about detained Salvadorans fleeing civil war, they set out to process political asylum applications. After they meet Victor, a Salvadoran in a Border Patrol detention center, they realize they're going to need help. They call on Father Hartford, who is first to meet Nidia, another Salvadoran with strong but different opinions on the Salvadoran civil war. Carol and Mica enlist pastor Jeff Chord of Southside Presbyterian Church, who sits on the National Presbyterian Council and before long Quaker Will Hewitt joins the group with ideas of his own. As the number of detained Salvadorans and Guatemalans continues to grow, the group must choose whether or not to stand up for what they believe. Will they choose the law of man or the law of God? 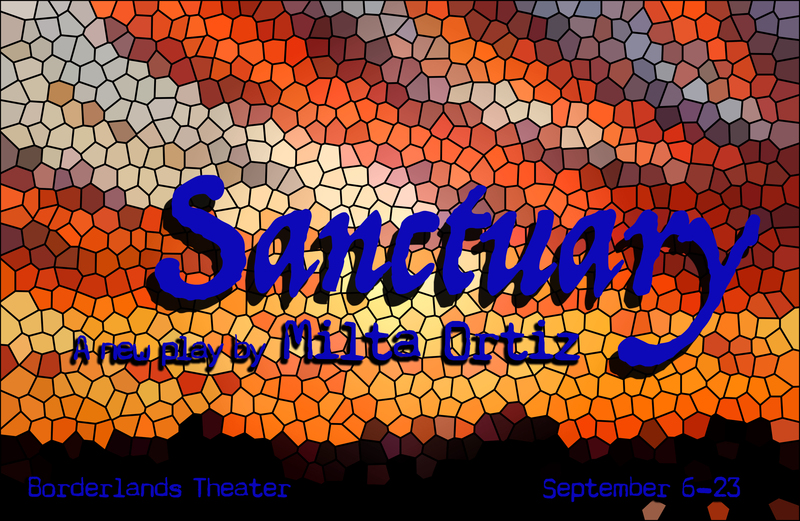 Sanctuary kicks off a trilogy of plays dealing with immigrants seeking refuge in the U.S., exploring the U.S. involvement in Central America, its consequences, and response. In an effort to make discussions with immigration specialists accessible, they will be livestreamed through Howlround, a knowledge commons by and for the theater community. Panelists: Catherine Gaffney of No More Deaths, Debbi McCullough of Tucson Samaritans, Lauren Dasse of the Florence Immigrant & Refugee Rights Project and another organization T.B.D. Concert version of the the novel by Helena Maria Viramontes. Developed at Perryville Women’s Prison with live music composed by Martha Gonzalez from the Grammy award winning Los Angeles band, Quetzal.